Features: Sweet and pretty. 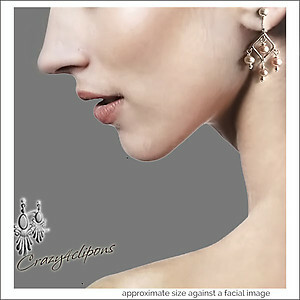 These chandelier earrings are small in size and large in style. 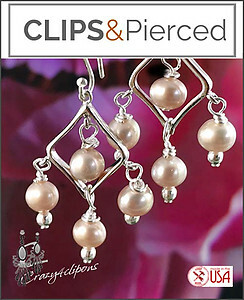 Little pearls dangle beautifully from a sterling silver diamond shaped component. They are dressy, they are beautiful and they are light.